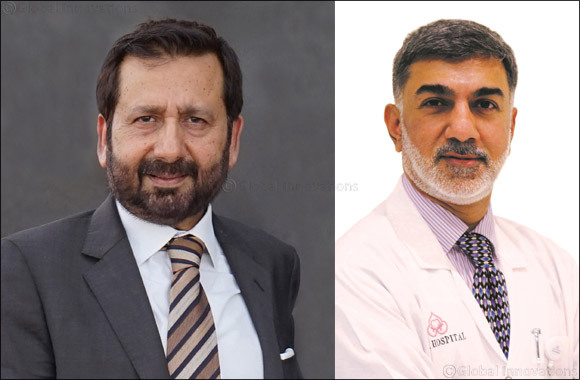 26th March, 2019; Ras Al Khaimah, UAE: Despite the fact that colon cancer is potentially preventable by making a few healthy lifestyle adjustments and adopting screening tools, the disease continues to prevail among the top few cancers among the UAE residents. A recent study on colon cancer screening conducted on residents between the ages of 29 to 81 years found that around one-fifth (22 percent) of the cancer cases were patients below the age of 40, while people younger than 50 years old made up 41 percent of the total. Other recent statistics also back up the claim that young people in the UAE are getting more prone to colon cancer. On the occasion of World Colon Cancer Awareness Month in March, doctors at RAK Hospital recommend UAE residents to be more alert of their colon health and opt for screening at an earlier age instead of waiting to turn 50 which is the current protocol. This is particularly important for people who have a family history of colon cancer and need to take extra precaution. Studies show that colon cancer is the third-most common cancer in men and the second-most common in women among the UAE residents. As per a recent news report, 30 per cent of all diagnosed cancers are colorectal cancers. The success rate of treatment depends on the size and stage of the tumor, including any spread to the lymph nodes or other organs, but by and large if detected and treated early, the survival rates are much better. The nature of the disease (progression from adenoma to invasive cancer over a period of time) gives patients an opportunity to screen for polyps and early cancers and treat this successfully. Some of the known risk factors for colon cancer include age, family history of colon cancer and a diet that is low in fruits, vegetables, fiber and high on red meat and processed food. Lack of physical activity, smoking and alcohol consumptions can also increase the risk of cancer. Moreover, patients suffering from Ulcerative colitis or Crohns disease are at a higher risk of being diagnosed with colon cancers. Symptoms of bowel cancer that can manifest themselves at a later stage include a change in bowel habits, blood in the stools, weight loss, reduced appetite, sometimes abdominal pain/discomfort and bloating, difficult defecation or narrower stools, tiredness, anemia, among others. Reinforcing the need for early screening, Dr Raza Siddiqui, CEO of Arabian Healthcare Group and Executive Director of RAK Hospital commented: “Despite the fact that colon cancer is so prevalent not just in the UAE, but world over, few people take it seriously. March being the awareness month for colon cancer is a perfect opportunity to stress on the need for not just screening, but also maintaining a healthier lifestyle that will simply address the issue at its roots. It is quite alarming to watch younger people falling victim to this condition, and we hope that more youngsters will take notice and go for earlier screening while following a healthier lifestyle”.